For a complete description of AnimSchool Policies and Procedures, download the AnimSchool Catalog here. We are an online school for 3D animation, modeling and rigging. We have the policies below in place to help students get an education that will lead to employment in a competitive market. AnimSchool is registered and compliant with the Utah Postsecondary Proprietary School Act (Title 13, Chapter 34, Utah Code). To apply for AnimSchool, prospective students need to (1) be 18 years or older the first week of class, (NOTE: If you are age 13-18, you can take classes from working AnimSchool graduates at our partner www.animationworkshops.com), (2) have a High School diploma, a G.E.D., or its foreign equivalent, (3) have basic computer skills on Windows or Mac. If students do not have a working knowledge of Autodesk Maya they need to become familiar with the software before their first term begins. We allow students to begin who are brand new to 3D software, however they must take the Introduction to Maya course. Many animators, modelers or riggers need only to take a few intermediate or advanced courses to supplement their education obtained at other schools. For them, taking an entire AnimSchool program isn't efficient or cost effective. At AnimSchool, we offer the unique opportunity to directly apply to a particular class and instructor of your choice, to get just the leg up you need to open new doors. The "Express" option allows students to take individual classes ala carte style to supplement their education at any point in their career. Students don't have to be accepted into a full AnimSchool program to apply but they must apply to the school, and agree to the terms of service. Express students also must be accepted into the class by the review board. The student will be required to submit their work directly to the instructor to be considered. Express students may still be eligible to enroll in a full program at any time, Contact an AnimSchool Administrator for more information. To take a class "Express", use the Apply button to the right. During the application process, specify the single course you would like to take. Students are graded according to their performance for every graded assignment. Most weeks will have an assignment, but not every week's assignment will be graded. Often an in-progress multi-week assignment will be closely monitored and commented upon but not graded until completion. The grading system is a U.S. standard A through F letter grade, with a C or higher course grade being required to continue to the next course. If a student fails to receive a C grade or higher, they will be required to retake that course or an equivalent, at their expense, to continue to the next course toward graduation. To graduate, a student must first be enrolled in the Animation or Character program and complete all required courses and the required number of elective classes, each with a C grade or higher. In addition, students must abide by the standards of conduct and resolve any such issues, probation status, or non-payment status. As a last step to graduate, students meet with a member of the review board for a portfolio review. The review board gives the final approval for graduation eligibility and may require additional work to graduate. Upon graduation, students retain full access to the AnimSchool website, their class recordings, and the right to use all AnimSchool character rigs and all future AnimSchool characters as well. AnimSchool holds a graduation event each year to honor the graduates completing the course of study during the past four terms. The graduation is currently held the first evening of the CTN Expo in Burbank, California. This is normally the 2nd or 3rd week of November. The graduation is also streamed live over the web. If a student is not admitted to a program after applying, they will receive a full refund of the application fee. Students may reapply the next term to be admitted, if desired. Prospective students should review the enrollment agreement during the enrollment process located here. After registering for the school and paying the otherwise non-refundable $125 registration fee, students have three business days to change their mind and withdraw from the school. They are then eligible for a full refund of all fees and any tuition paid, including the otherwise non-refundable registration fee. After the three day period, students may withdraw before they participate in AnimSchool classes (including General Reviews and drawing classes) until two weeks before classes begin, for a full refund, minus the $75 withdrawal fee and the non-refundable registration fee. Program students that have not opted to take a leave of absence or term break and who do not select a class by the registration deadline should respond to Administrators' inquiries or will be subject to automatic withdrawal from AnimSchool. Students enrolling in a term need to stay with the class during that term, regardless of how their work schedules change, or their job situations change. When they enroll in a term, they should be sure that they can fully commit, and complete that term. Students should be sure to have the time and resources to fully participate for the 11 weeks. If unsure about their ability to participate, students have until just before the term begins to go on a Term Break or withdraw. At any point in a term: Once enrolled in a term, students have until that term begins to opt out. During the first week of a term, students can withdraw from the term or school but because AnimSchool has already employed their instructors for the term, students are obligated to pay 1/3 of the agreed-upon tuition for the term, even if they cannot participate in the term. After the first week of a term ends, 11:59pm Saturday Mountain Time, or after having accessed or downloaded the school’s animation rigs or class materials for the course, students can withdraw but are obligated to pay 2/3 of the agreed-upon tuition for the term. While a term is underway, after the first week, students wanting to switch out of a term and re-enter next term may do that, but as stated will forfeit at minimum 2/3 of the tuition for that term. If it is beyond the 7th week of the term, there is no credit issued; the full tuition is charged. At any point during a term, students may withdraw from AnimSchool. Regardless of the payment method, students are obligated to pay for that term’s tuition, according to the policies described. If they have paid for the term already, (after the first week) they may be eligible for a maximum refund of 1/3 of the tuition for the term, minus a $75 withdrawal fee. (If it is beyond the 7th week of the term, there is no credit issued). (This assumes additional class sessions were not attended after the withdrawal request). Registration or other fees will not be refunded. Withdrawal can be initiated by emailing: admin@animschool.com or calling 801 765-7677 with a clear request for withdrawal. Any cancellation or withdrawal refund payments will be issued within 30 days. Refunds are calculated based on the term week of the stated withdrawal request (assuming no additional classes were attended after the request or school assets accessed or downloaded), beginning Sunday midnight and ending Saturday before midnight Mountain Time, communicated via AnimSchool Private Message, email, or phone. Students who withdraw from a program after the initial three-day period must petition the Animschool Review Board to be considered for acceptance into a program again. The school may cancel a class when the number of students scheduled is too small, or the instructor withdraws for any reason. AnimSchool may also retain a class but substitute another instructor if an instructor withdraws before the start of the term or during a term. Students will receive a recommendation for an alternative class. Students desiring to change classes to a different time slot and/or instructor may sign up for a different class at any point until the day before the second class session. (If the student misses the second class session of the new class as a result of any switch, they are not entitled to a refund.) If a different instructor has been substituted during that first week, students may switch to another class with an available spot. At times instructors may have a planned absence. They will find a qualified replacement instructor and the class will continue as scheduled. Alternativly if a substitue is unavailable the class may be rescheduled. Students may not request a refund or credit of any kind as a result of the instructor substitution, or a class being rescheduled. On rare occasions, instructors may withdraw from teaching a class due to personal circumstances. In such circumstances, a suitable replacement instructor will be found to substitute for the remainder of the term. Students will not be eligible for a refund as a result of any such circumstance. Admitted students may take a leave of absence after/in-between terms for any reason, but only for three terms, consecutive or nonconsecutive. After that, non-participation will lead to automatic withdrawal as a registered student. After automatic withdrawal, students may not reapply to AnimSchool. To take a leave of absence, please email: admin@animschool.com. Students wishing to take an unexpected leave of absence during a term need to obtain permission to do so before the registration deadline for the term. Program students that have not notified us by email about taking a leave of absence or term break by the registration deadline for the next term will be withdrawn from the program. They will then be subject to the terms in the "Taking a Break While a Term is Underway" section. Each week, students should submit their assignments three hours before their class is scheduled to begin. This gives the system enough time to upload and post the materials, so they will be available for the instructor and other students to review the work during class time. Assignments submitted after that time will be graded as late, which lowers it by 10%. For example, an assignment graded at 85 will receive a grade of 75. Students may use AnimSchool character rigs and any assets provided for their courses or ones available in the Characters and Tools section while they are students. Students withdrawing from AnimSchool (provided their payment accounts are current), may continue to use those AnimSchool character rigs and assets. Student access to the AnimSchool website and class recordings is limited to the time they are enrolled in a course. Students withdrawing from AnimSchool do not have continued access to the AnimSchool website or class recordings. Students taking a term break from AnimSchool do not have continued access to the AnimSchool website or class recordings. Students may pay for "break access", however, to retain access to General Reviews, class recordings, drawing classes during their break. Students may request "break access" by contacting admin@animschool.com. Students who graduate from an AnimSchool program may use the character rigs pertaining to the courses they passed and assets and related future character rigs yet to be released. They also retain access to class recordings. Students in an Express class (a single class, not as a program student) may continue to use the character rigs and assets provided for that course, as well as those in the Characters and Tools section, after the course is completed (provided their payment accounts are current). But Express students do not have access to all future character rigs. Express students do not have continued access to the AnimSchool website or class recordings. Students must abide by the provisions described in the AnimSchool website Terms and Conditions of Use. These are listed during the Enrollment process, or click here. Students must maintain a C grade or above (73%) each term to count the term's class as a fulfilled prerequisite for another class. Elective classes are not prerequisites, so a passing grade of any kind fulfills the requirement toward graduation. Students who receive below a C grade on a required course, wishing to graduate, must retake the class or an equivalent class at their own expense to maintain eligibility. Express students receive a grade, and may take additional classes they qualify for, but in order to have the benefits of graduation must switch to be a program student and take at least four classes at AnimSchool. Students are expected to maintain professional standards of behavior in their interactions between other students and between them and their instructors. If some conduct is unprofessional, or would be inappropriate in the workplace, students should avoid it. AnimSchool will not tolerate harassment, illegal discrimination, derogatory speech or actions toward another AnimSchool party or any other person, using AnimSchool communications. Students should avoid offensive content in the forums, messages, and in their school assignments, including crude language, sexually explicit material, or derogatory intention, or jokes that could appear derogatory toward others. Failure to comply with the standards of conduct may result in Academic Probation, up to and including dismissal. Students must agree to and abide by the terms of the enrollment agreement to continue in a program. Failure to comply may lead to a probation status. Students will be informed what steps they must take to avoid dismissal from AnimSchool, and will be given ample opportunity to resolve any issues. Students should strive to attend all the class sessions in which they are enrolled, and submit their assignments weekly. Not every weekly assignment is graded, so failure to submit an assignment may or may not directly impact the upcoming assignment's grade. Students who fail to submit any ungraded weekly assignments will likely fall behind. Non-attendance may impact class grade or academic standing, unless the student communicates a special situation (such as conflicting schedule) to the instructor and participates and communicates through messaging to compensate. Students are advised that much of the opportunity for learning comes from the direct interaction with the instructor during class sessions, so they should be attended whenever possible. AnimSchool offers services to place students in industry positions upon graduation. Services include job listings and information from contacts with industry recruiters, and recruiter access to AnimSchool graduate candidates' demo reels. AnimSchool cannot guarantee employment upon graduation from a program. Our graduates currently have a 87% graduate job placement rate for the previous period (employment within six months of graduation, as of August 2018). Students are responsible for providing their own computer hardware and software, as well as purchasing any of the required school books, per class (not a frequent requirement). Students need a Windows XP or higher PC (personal computer), or Mac OSX 10.5.7 or higher. AnimSchool does not provide installation or technical software support for getting your computer running with the animation software. AnimSchool supports working in Autodesk Maya software, which you can download for free from Autodesk. Instructions for getting the software are given after a student is accepted into a program. Autodesk Maya is the industry standard in high-end productions. 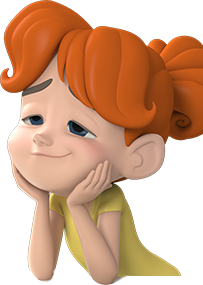 AnimSchool is designed and tested on major browsers Chrome and Firefox on Macs and Windows. Students should use the latest version of the browser when possible. Fast "basic broadband" internet access is required. For best results, students need download speeds of 1200kbps. To find out the speeds you are experiencing on your computer and connection, go to a website such as www.speedtest.net and hit the Begin Test button. DON'T HAVE BROADBAND AT HOME? If you have slower internet speeds at home (or other location where you will carry out your assignments), you can still participate by uploading your assignments using a slow speed (for example, at home), but attending class lectures and critique time at an internet cafe or other such location with broadband speeds and a webcam. AnimSchool class lectures require no specific software (just an internet browser like Firefox), and can be accessed via Windows or Mac computers. So you can do your assignments and watch lectures using a slower connection, but attend class using a fast connection elsewhere. You need to use a microphone and webcam to talk to the instructors and students. Online classes work best with headphones as well. A webcam is also used to take a picture of drawn assignments, and record live planning for animated scenes. New students must pay before the term begins, in order to enroll. Enrolled students must keep their payments current to maintain status at the school and retain access to the AnimSchool student website and assets. To register in a particular class for the following term, existing students must pay the tuition for that term. Existing students must pay for the upcoming term by the posted "Last Day to Register For Classes" on the Academic Calendar, approximately one week before a term begins. Students who fail to pay by that date will be subject to a $35 late fee and have their access restricted to the student AnimSchool website. Students should then call or email the Student Administrator to bring their account current and resume student status. Existing students who fail to pay for the current term must contact the Student Administrator and arrange payment to avoid being placed on Academic Probation. Students on the monthly payment option must maintain a valid credit or debit card on the account. Monthly payments will be withdrawn automatically on the first of the month or the first business day. If a card is denied during the attempt at processing, the student will be notified by email and they will have seven days to provide a replacement card, or be assessed a $35 late fee. Following the seven days, monthly payment students must contact the Student Administrator and arrange payment to avoid being placed on Academic Probation. Students on the Easy-Pay program must maintain a valid credit or debit card on the account. Monthly payments will be withdrawn automatically on the first of the month or the first business day. If a card is denied during the attempt at processing, whether during a term or during a scheduled Easy-Pay break , the student will be notified by email and they will have seven days to provide a replacement card, or be assessed a $35 late fee. Following the seven days, monthly payment students must contact the Student Administrator and arrange payment to avoid being placed on Academic Probation. Students wishing to transfer credits from another school to apply to a particular class or set of classes should send a detailed written request to admissions@animschool.com. Credits may be accepted after a review on a case-by-case basis. To start your education at AnimSchool, hit the Apply Now button below, email Admissions, or call 801 765 7677.